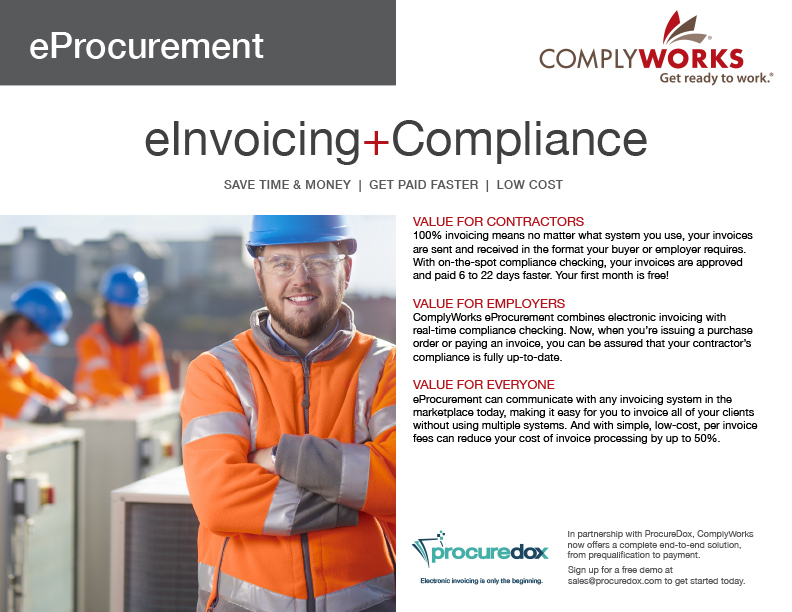 ComplyWorks and ProcureDox Collaborate to Save Companies from Steep Fines with PO Compliance Check | ProcureDox Business Solutions Inc.
CALGARY, AB – ComplyWorks Ltd. – a leader in compliance management solutions – is pleased to announce the North American release of its eProcurement Solution. eProcurement is the first solution to combine electronic invoicing with compliance verification, empowering clients to immediately reduce fines after deployment. The eProcurement Solution is the result of a collaborative effort between ComplyWorks and ProcureDox. Failure to verify compliance at the time of payment can result in steep fines for companies. eProcurement makes it easy for companies to comply with regulations, so they aren’t subject to these fines. 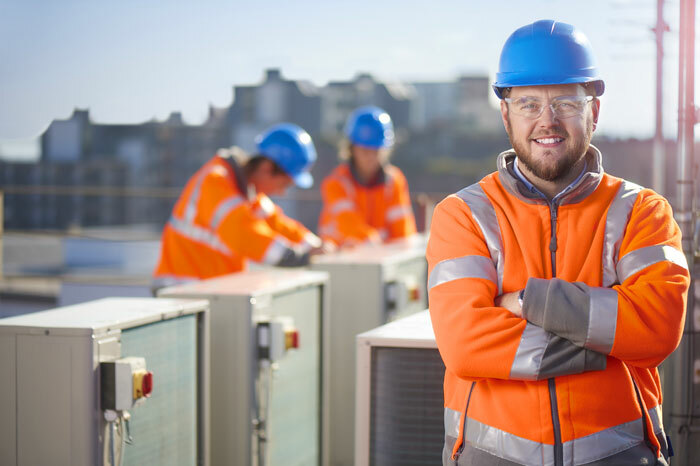 The solution will also provide companies with further insight into their invoicing with spend reporting to see how much money is spent employing compliant and non-compliant contractors. eProcurement is fast, efficient and secure, making electronic invoicing simple and seamless for both employers and their contractors, no matter what invoicing system they use. It does this regardless of how invoices are sent – fax, mail or electronically, eProcurement can handle them all. Visit www.procuredox.com to learn more or contact sales@procuredox.com.